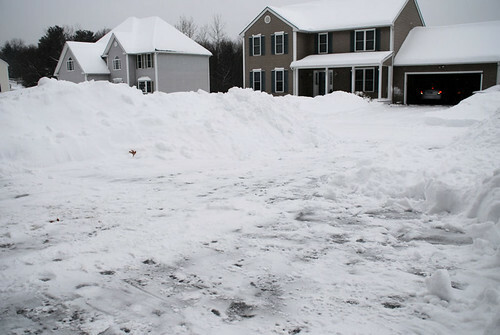 I just shoveled 195 cubic feet of snow. We are the only people on the street without a snow blower. We were planning to get one, but decided to wait until the end of the season sale. Hah! Near the road, the snow was above my knees and heavy as cement. It’s wetter than the sweet, fluffy flakes near the garage. As I labored, the wind blew sheets of the stuff right to our doorstep, whisking shovelfulls back into my face during gusts as I dug. Mar 2 2009 Sep 18 2015 Lori D.